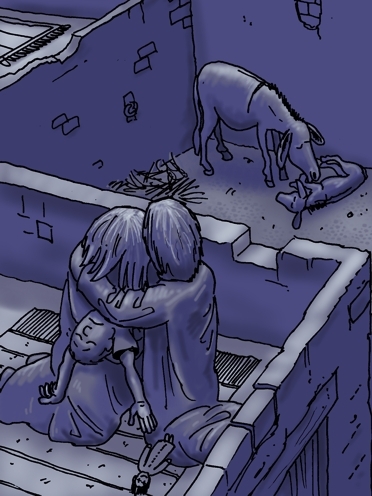 I’ve just finished drawing & colouring plague number 10: the plague on the first born. This was a plague which killed those children born first to Egyptian parents. It also affected all the Egyptian animals as well. Notice the tiny figures by the left hand trees in the middle distance – a couple grieving over their own loss. And again, there are several figures on their rooftops in a village on the horizon, who have just discovered their own losses. 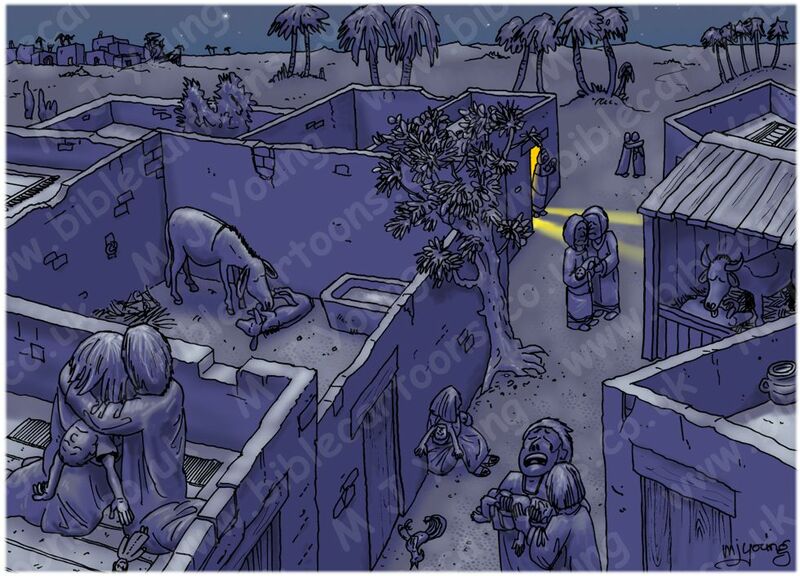 This scene was quite hard to draw & complete, as it depicts a terrible event in world history. 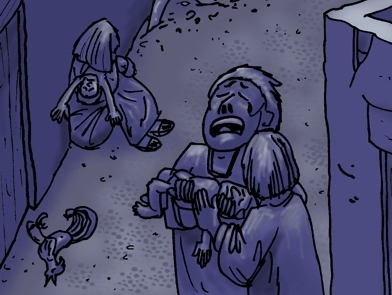 I couldn’t help but be moved by the anguish of the figures as I drew & coloured them. Even the donkey nuzzling its dead colt & the cow licking its calf moved me. This is a tragic scene, made more so by the cool night time colours. Showing the Egyptian figures on the roof top, in the left fore ground of the scene. Showing some Egyptian figures in the street, mourning their lost sons or daughters.